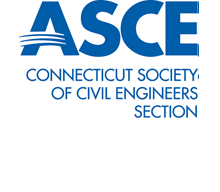 Please join CSCE at this month's dinner meeting at the Norwalk Inn for a presentation on the Great Hill Tunnel Emergency Repair Project in North Branford, CT. 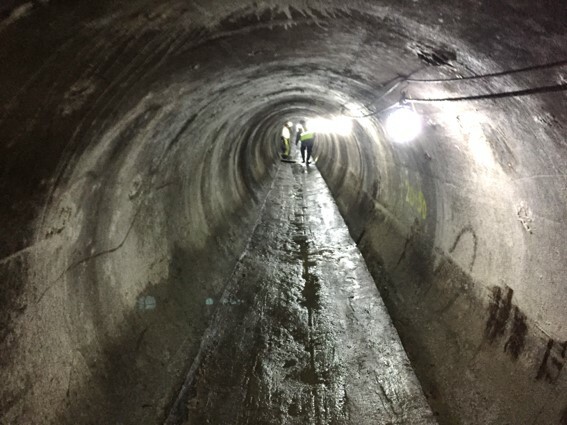 Underground utility tunnels present unique construction and operational considerations that require specific approaches to maintenance, repair and rehabilitation. After a leak was discovered on a 1927 vintage 48-inch cast iron pipe (CIP) that transports raw water from its largest reservoir to a treatment plant which serves over 60 percent of its 430,000 customers, the South Central Connecticut Regional Water Authority (RWA) was faced with a critical, complex and challenging emergency repair that was essentially completed within six months at a cost of approximately $15 million. In this case, restoring a tunnel system, which included a 6’-4” wide by 6’-4” high, 2,700-foot long concrete-lined tunnel, transitioning to the 48-inch CIP was far from routine. An innovative, expedited and specialized solution was needed for the water utility’s most critical piece of infrastructure. Emergency repairs to the tunnel system required the design and construction of a temporary bypass system that could handle transporting 40 million gallons of water a day. This bypass system included installing 36,000-feet of above-ground, temporary pipelines from the lake intake, up a 150-foot ridge, down and through an active quarry and reconnecting to existing piping near the existing gate house. The bypass system needed to be operational in order to perform the tunnel restoration and complete the installation of a structural liner on the 48-inch CIP under a 30-foot embankment leading to the quarry’s main road and rail system. The leak in the CIP was the result of a diver’s weight belt being dropped at the transition from the tunnel to the pipeline some 45 years ago during a lifeline rescue. Reservations received and accepted after midnight on March 5th, will incur a $10 additional fee. Payment is required with registration unless other arrangements are made. CSCE cannot give refunds after the final dinner order has been placed.